Do you have a bucket list? 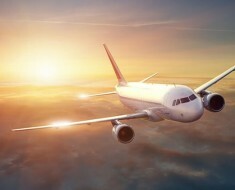 You know, one of those lists that include the things you want to do and places you want to visit before you die? Well, after seeing these 20 surreal landmarks, you will want to add them to your list of places to visit! 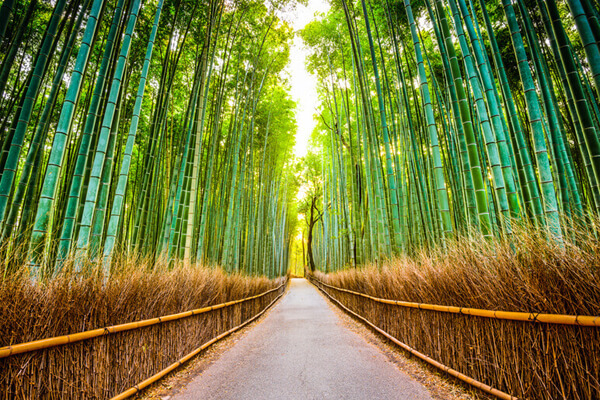 Located in Kyoto, there’s a forest filled with towering stalks of bright green bamboo. With long, narrow walking paths cutting through the gorgeous plants, a trip to the Bamboo Forest is one you will never forget. You can either walk or rent a bike to ride through the forest and witness rays of light shining through the thick stalks. The sound of the wind blowing through the bamboo is said to be a tranquil sound you will never forget. If you plan a trip to the Bamboo Forest, expect to have some company on the trails. In recent years, photos of the forest have appeared on many “must visit” lists, which has sparked a lot of interest in the park. About two hours away from the magical Bamboo Forest, you will find this public park. 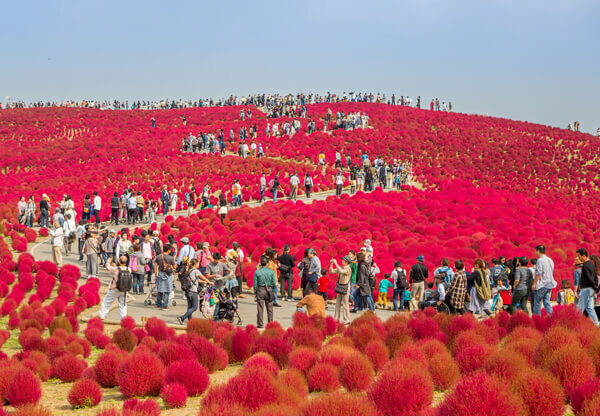 It’s filled with a sea of flowers that change color depending on the season. There’s even a flower calendar that lets you know which flowers are in bloom at different times of the year. Sometimes the park is filled with green flowers, other times you will see an endless bouquet of blue or pink! 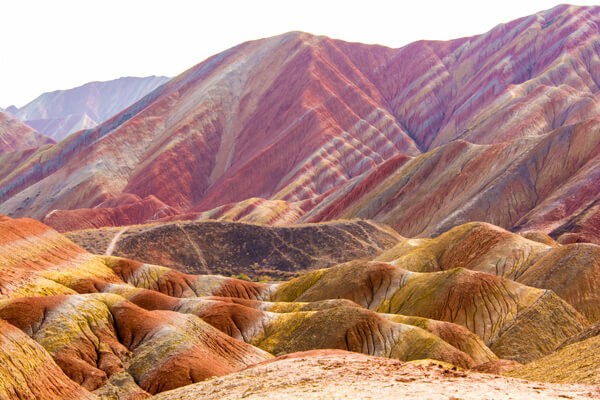 Zhangye Danxia Landform has been given the fitting nickname, “The Rainbow Mountains.” Judging from the technicolored mountains in the photo, you may have a hard time believing this place actually exists. However, it does! These mountains were created about 24 million years ago when different colored sandstone and minerals were pressed together and then buckled up by tectonic plates. Have you ever seen the movie Avatar? If so, do you remember the large, gorgeous mountains featured in the movie? Well, they were inspired by the Tianzi Mountains. 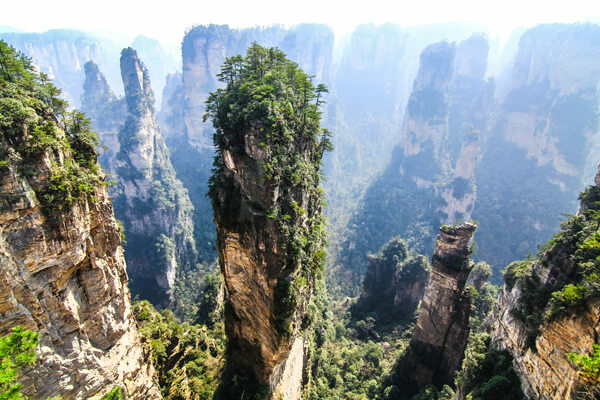 Along with their natural beauty, these huge mountains in China reach 4,140 feet above sea level… wow! 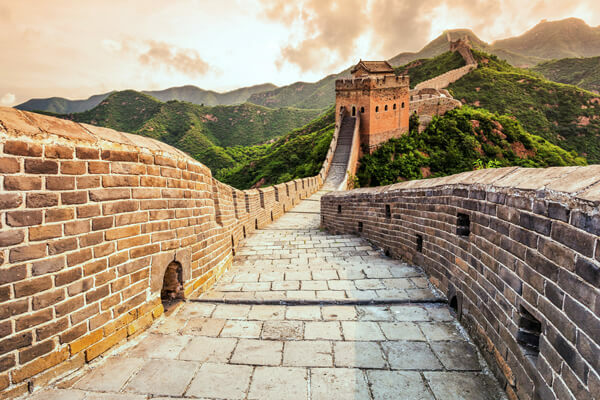 Built more than 2,000 years ago, The Great Wall of China is approximately 13,170 miles long. China’s first emperor, Qin, began constructing the wall in the 3rd century BC. The famous wall is visited by people all across the world. 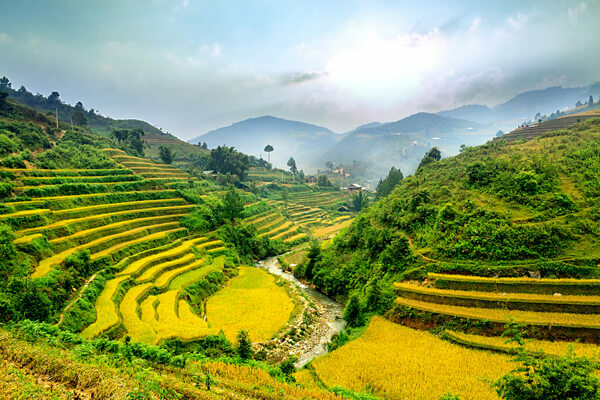 In a rural part of northeastern Vietnam, you will find these stairway-like rice fields that stretch for miles upon miles. Over the years, these terrace fields have grown increasingly popular. The best time to visit is between September to early October, during harvesting season. This is when the fields turn a vibrant yellow color. 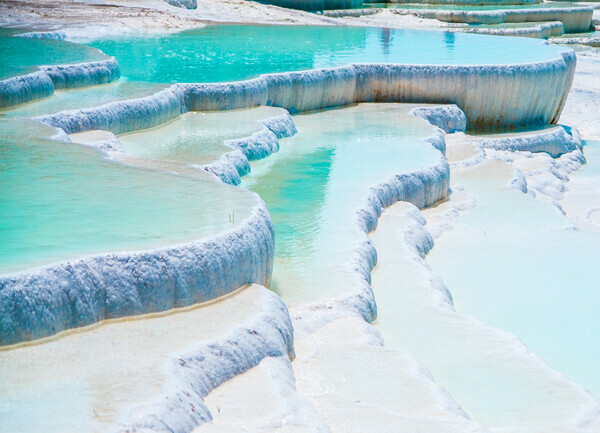 Located in western Turkey, Pamukkale is a town known for its mineral-rich hot springs. At first glance, it looks like turquoise-blue water filling ice shelves. That’s not ice, though! This historic destination features a stack of travertines (or calcium carbonate shelves) filled with warm water. The formations are so amazing that the ancient Romans built a spa city here. If you visit, don’t forget your bathing suit! 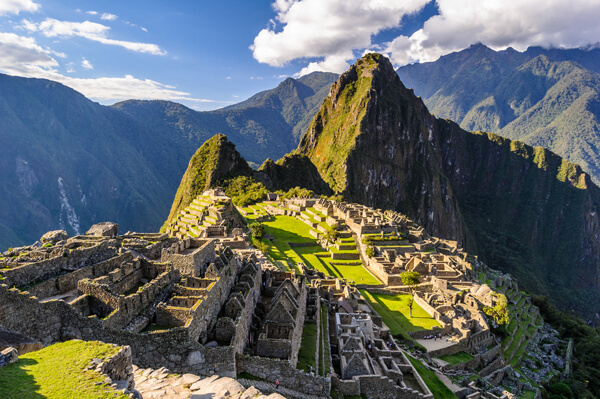 Machu Picchu is an ancient Inca site that dates back to the mid-1400s. Today, it’s Peru’s most visited site. Visitors come from all around the world to admire stunning architecture that’s perched on a high plateau deep in the Amazonian jungle. Talk about dramatic views! If you’re up for it, you can spend several days hiking on trails that will lead you to the famous landmark. You can also get there via train. The Taj Mahal is an impressively huge, white, marble mausoleum that was built back in the 1600s. It was built by the Mughal emperor Shah Jahan for his beloved wife, Arjumand Bano Begum. She died at the age of 39. 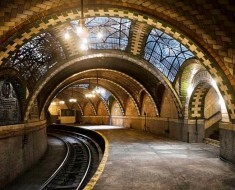 Today, you can book a guided tour of the landmark. 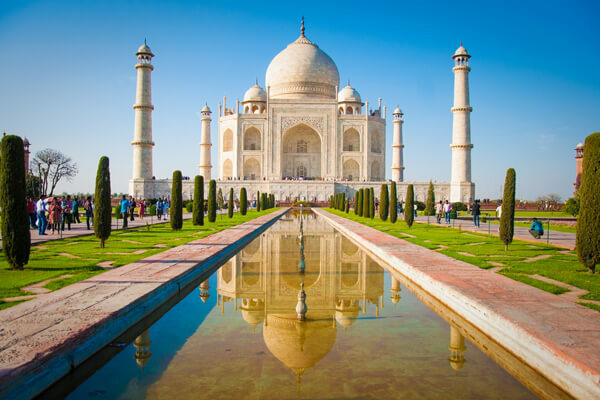 More than three million people visit the Taj Mahal every year! Salar de Uyuni is the world’s largest salt flat. 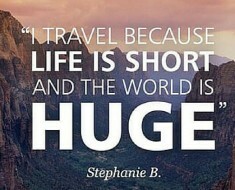 It spans 4,086 miles long. This area used to be a prehistoric lake. When the lake dried up, it left behind amazing rock formations and bright-white salt. 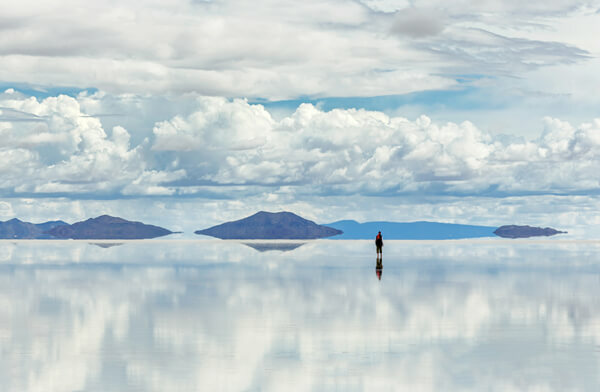 During the rainy season, the ground becomes so reflective that it’s actually known as the world’s largest mirror. It also becomes a land formation that can play tricks on the eye! This national park is far from the beaches you’re used to visiting. At first glance, it looks like a desert. But the area gets too much rain to be considered a desert. 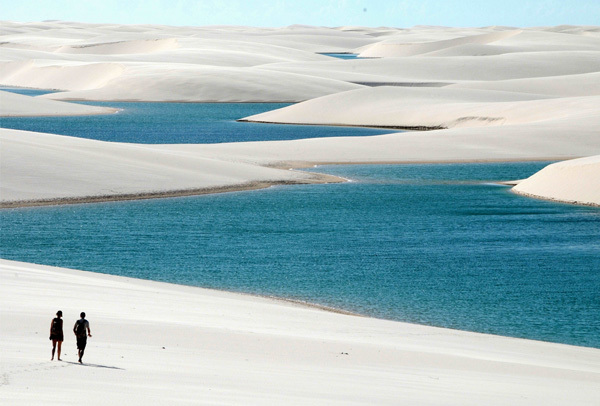 During the rainy months, some of the lagoons reach over 300 feet long and ten feet deep. The best time to visit the lagoons is between July and September when they are filled with water and temperatures aren’t too hot. 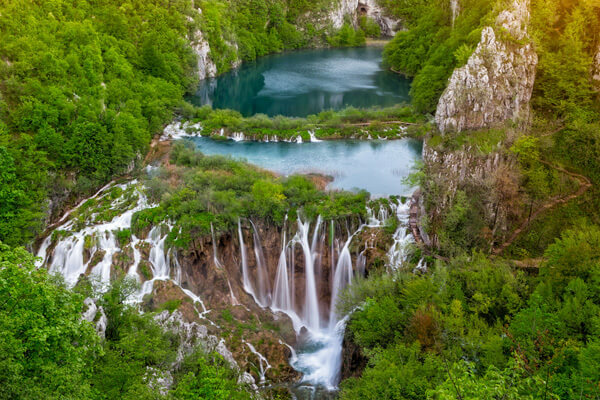 If you enjoy a good hike, then you should definitely plan a trip to Plitvice Lakes National Park in Croatia. The destination features a chain of 16 terraced lakes and breathtaking waterfalls that extend into a limestone canyon. The hiking trails actually wind around the water so no matter where you are in your hike, the views will be absolutely stunning. 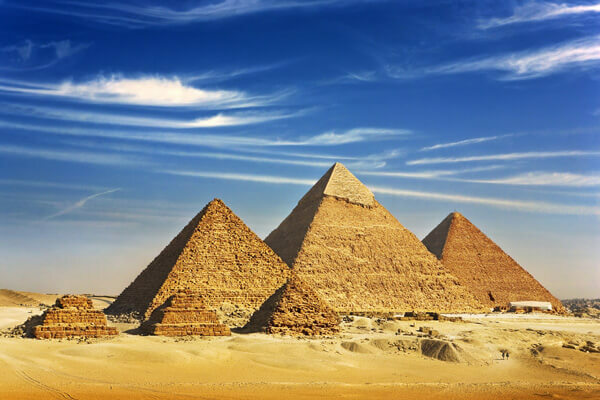 These famous pyramids date back to around 2,560 BC. They stood as the tallest man-made structure for over 3,800 years. Today, they are the oldest of the Seven Wonders of the Ancient World, and the only ones to remain largely intact. 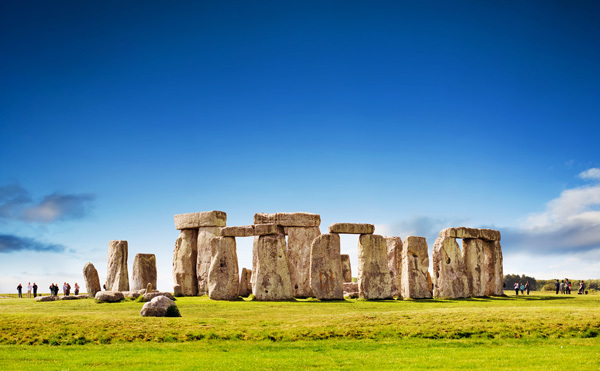 Dating back to around 3100 BC, England’s famous Stonehenge is considered one of the most famous landmarks in the world. While we are still learning more about where the 25-ton rocks came from, this monument is still one of the wonders of the world. Today, people from all around the world visit Stonehenge and take a close-up guided tour of the area. 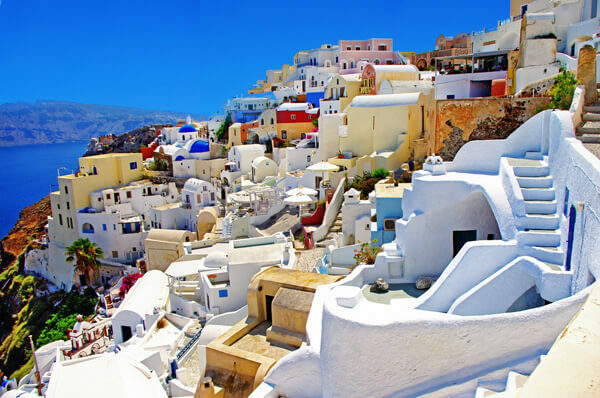 Santorini is a popular island in Greece. 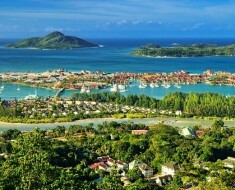 It pretty much has it all – beautiful views, beaches, history and an active volcano! The beautiful island was actually devastated in the 16th century from a volcanic eruption and it forever changed the area’s landscaping. 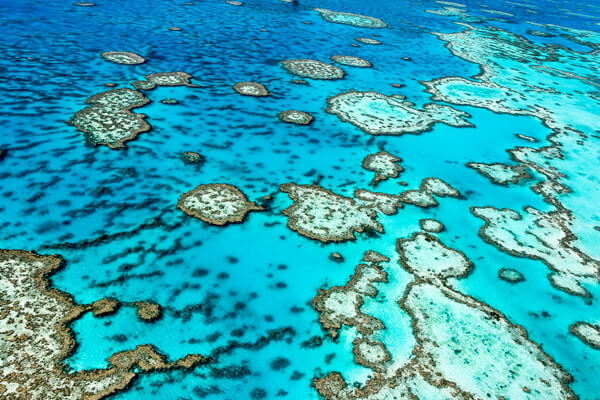 Spanning more than 1,400 miles, The Great Barrier Reef is so large you can actually see it from space! You’ll definitely want to pack your snorkeling gear to get an up-close look at the famous reefs and aquatic life! 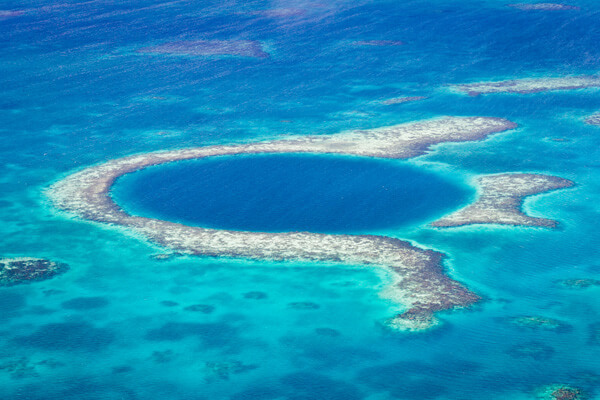 Off the coast of Belize, you will find this giant sinkhole called The Great Blue Hole. For divers, this 407 feet deep water is a dream come true. 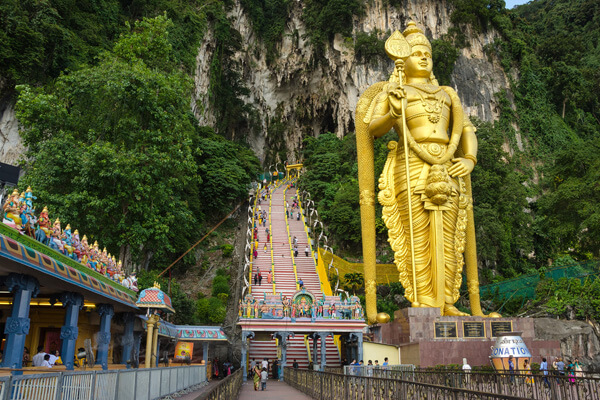 Located in Selangor, the Batu Caves is a limestone hill that features a series of caves. A trip here is the ultimate religious experience. Its main attraction is the large statue of the Hindu God greeting visitors at the caves’ entrance. Paintings and scenes of Hindu Gods can also be seen. 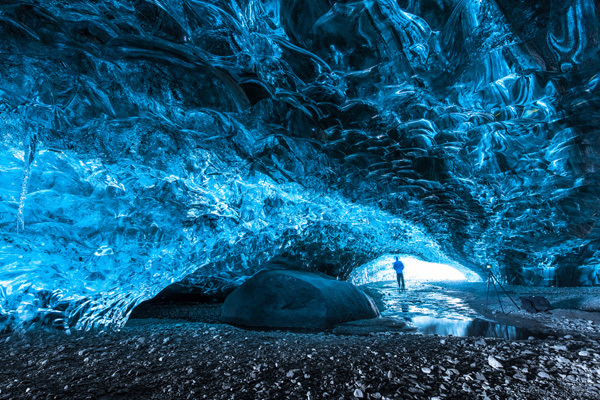 A tour of the Vatnajokull Glacier Cave in Iceland is pretty spectacular. It’s the largest glacier in Europe and has a jewel-like appearance. Schedule a tour to see up-close views of the ice cave and its natural beauty. 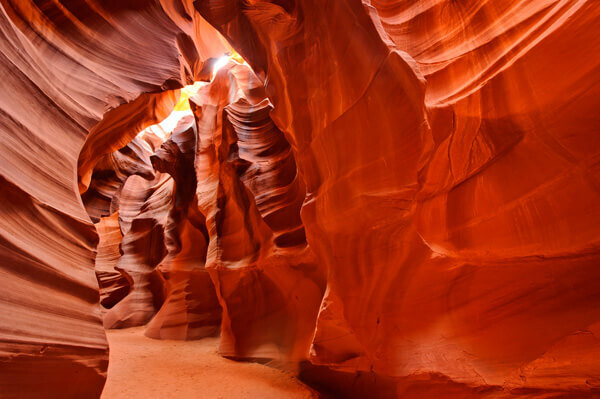 The land formations at Antelope Canyon are extremely unique. Millions of years ago water erosion created this cave. Along with the stunning shape, check out the rock’s vibrant color!